Taking care of one’s hair and maintaining it throughout is a thought every woman contemplates every day. 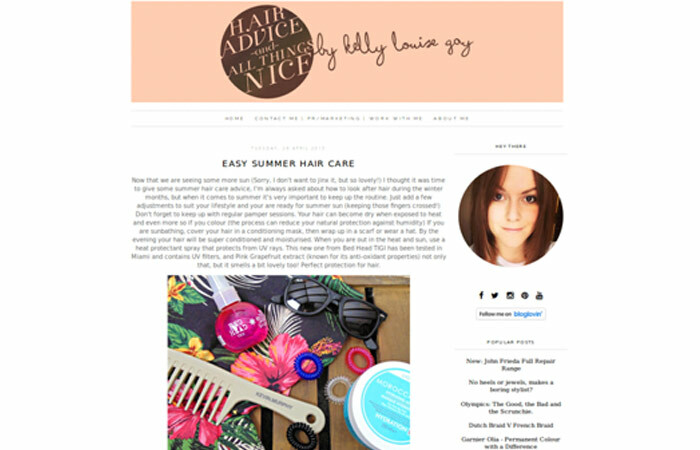 With everyone around giving you free and at times unasked for advice and tips, it is a safe option to rely on tried and tested methods that expert hair care bloggers suggest. 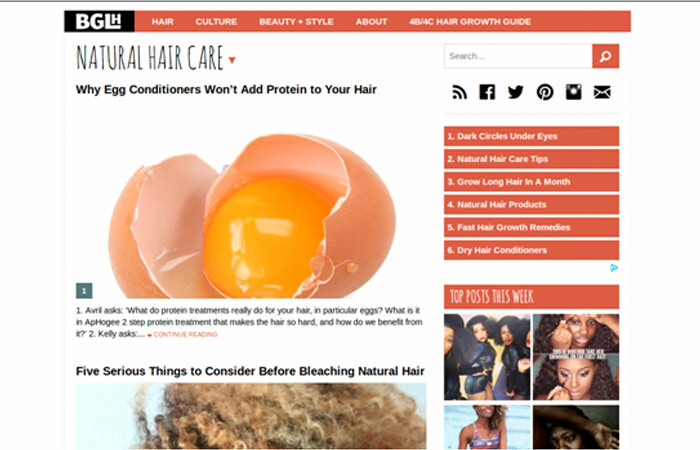 We bring you top 22 haircare blogs! What could be better than taking hair care advice from a professional hair stylist? Stephanie Brinkerhoff is professional hair stylist and beauty blogger who loves being a mom and promoting beauty around the world. She is a renowned wedding hairstylist and makeup artist. Her extensive experience as a hairstylist comes in handy as she provides tips on how to manage and maintain damaged hair. With daily and weekly haircare routines, that are tried and tested by her personally, she authenticates the efficiency of the methods she suggests. Valerie, a Toronto localite, suffered from thin and damaged hair for long. 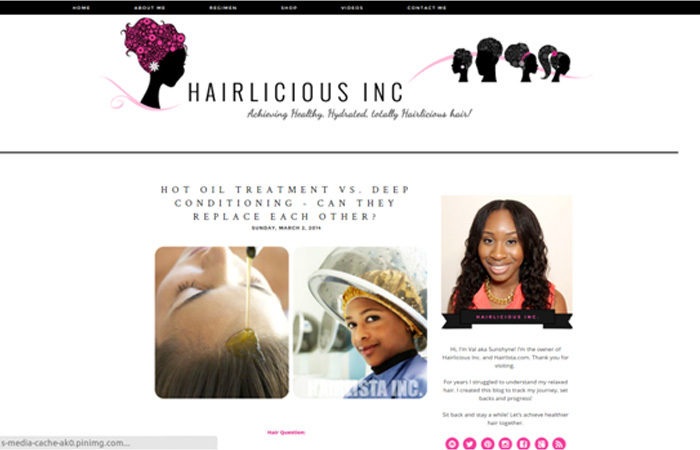 This lead her on to her own quest to find the best hair care routines, and the quest ended with her starting her own haircare blog Hairlicious Inc. She uses her website to educate and encourage women to include healthy haircare rituals in their daily lifestyle. This is a go-to haircare blog for African-American or similar hairtypes. 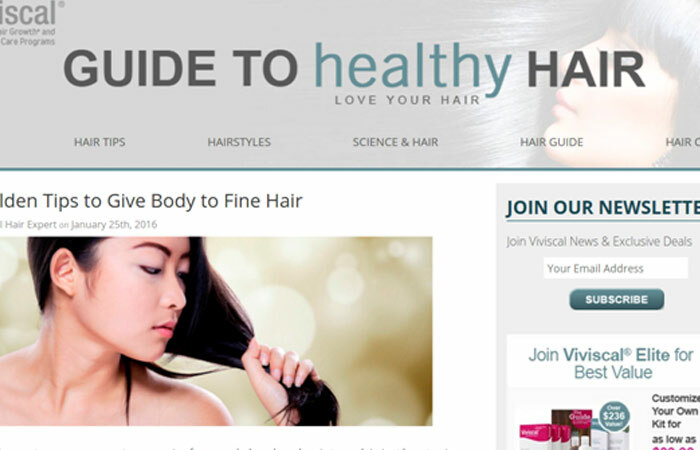 Hairlicious Inc also has a sister blog, Hairlista Inc, where one can find more info regarding haircare routines and tips. Curly hair is definitely not easy to manage and imagine starting a blog about it 15 years ago, when online resources on managing and taking care of curly/wavy hair were meagre. 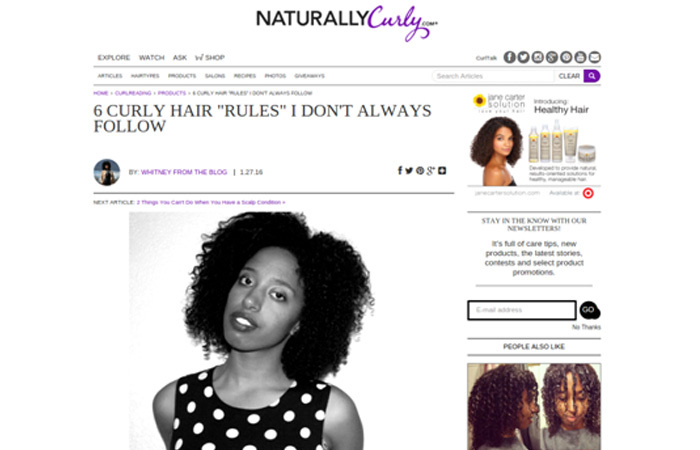 In the late nineties, two friends from Texas started NaturallyCurly.com, a place for information and inspiration for all types of curly hair. They even have their own grading system that helps immensely in choosing the right haircare routines and products. From fine curls to tight coiled hair, there are plenty of articles addressing general care, home remedies, and products that can used. Most of the products mentioned can be bought through their website. Christine, at Hair Sentinel, provides answers to all your questions regarding the various reasons behind hair loss and hair thinning. To add to that, her blog also provides multiple solutions that you can easily implement to stop the hair loss or minimize its effects. Her specific advice for specific hair types adds the personal touch that strikes a chord with readers suffering from hair loss and is also morale boosting. 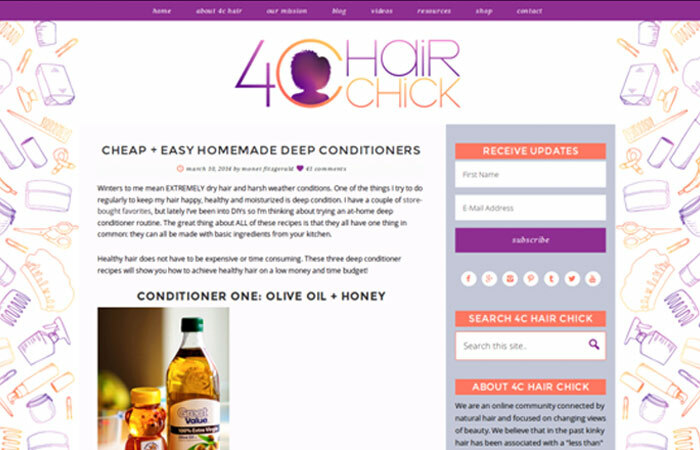 From healthy foods and home remedies, this haircare blog has it all. 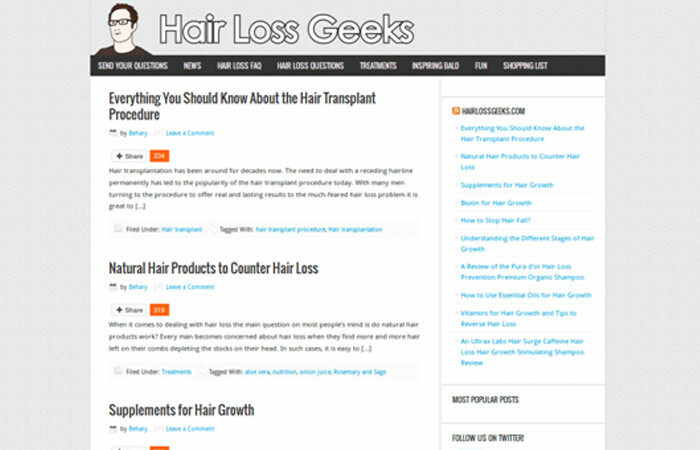 Hair Loss Geeks is a blog dedicated to providing information on the various hair loss treatments and products available in the international market. 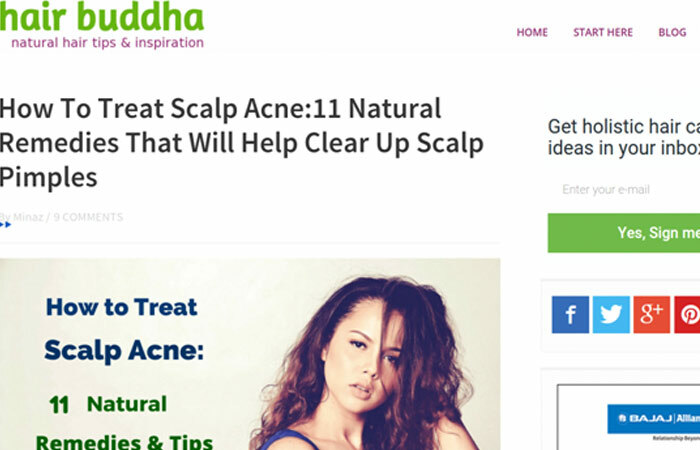 In addition to that, the blog also provide extensive information on the causes of hair loss causes and simple solutions one could implement at home. The Hair Loss FAQ section definitely helps in demystifying all those hairloss care myths that you have been hearing for ages. It is one of the few blogs that also concentrates on the hair related issues afflicting men. Started in 2008, by Tamara Floyd, this blog is committed to natural hair care, hairstyles, and inspirations. The blog was started as Tamara’s online personal hair journal, and has now grown to more than half a million followers on social media platforms. It extensively covers topics ranging from the basics about caring for natural hair and also fun hairstyles one can do. 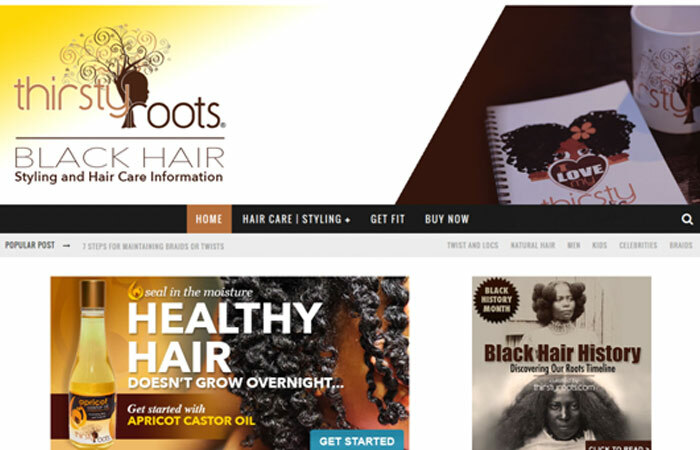 It also has separate sections dedicated to natural hair care for kids and men. Breakage and damage related blogs are very informative, as well. Originally from Bristol, but now based just outside London, Kelly is a professional hairstylist and with her blog, she brings to you the best hair care routines for the gloomy UK weather. She also does a lot of product reviews that are honest, and includes suggestions on which hair type would best suit. Every day hair care nuisances are made easier with her multiple hair commandments. 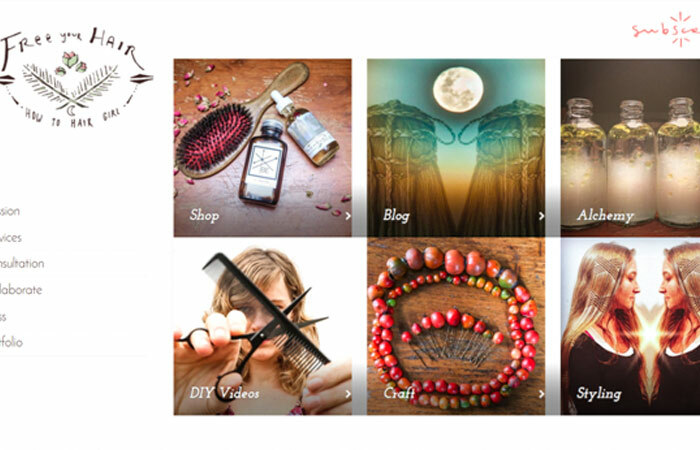 She also has some fun hairstyling and travel posts that are worth a read. Her tone of writing makes you feel she is talking directly to you, and just you. Taking care of natural hair is not easy. 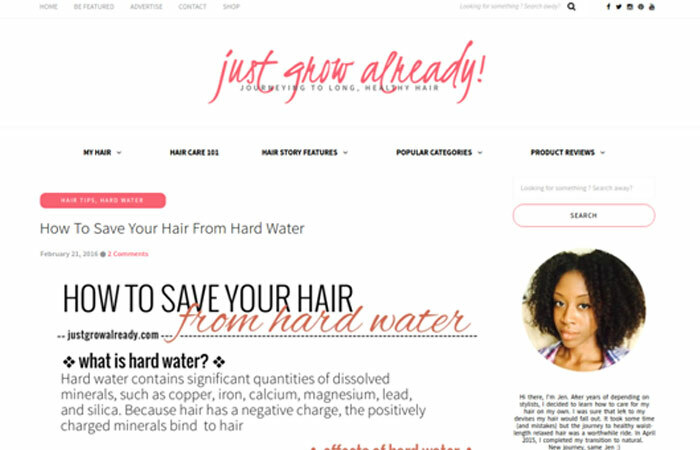 With most women opting to let go of their relaxers and transitioning to natural hair, this blog is a lifesaver. Blog topics cover basics such as how to comb and detangle natural hair, to inside secrets on how to get flawless, long lasting curl definition. Everyday hair routines are analyzed and better options that result in healthier hair are offered. If you have had enough of reading about how to take care of your natural hair, they also have fun and quirky posts to entertain you. 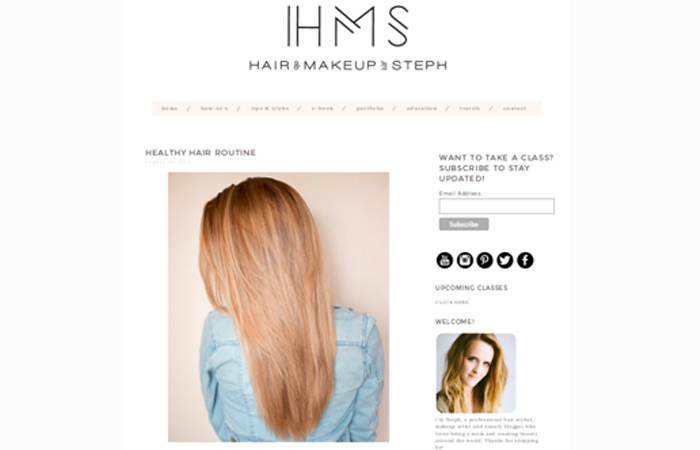 This blog is a hub for tutorials, tips and tricks, and beauty advice related to hair. Though, at first look, it might seem like a hairstyle blog, but don’t be disappointed. There is detailed info on hair care topics for different hair types, be it curly or poker straight, and so on and so forth. Blog posts on tricks to manage your hair in different types of weather and the how-to tutorials about taking care of hair are like finding rare nuggets of wisdom. Doubts that one has regarding hair care routines are answered, with added tips. 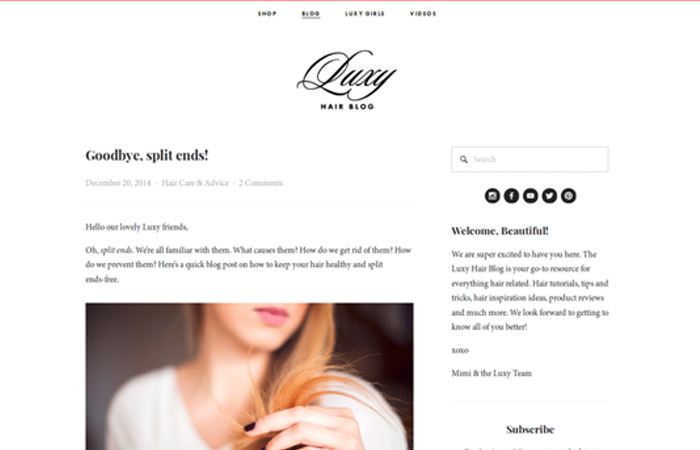 The minute you open the Luxy Hair blog, you will fall in love with their feature blogger Mimi. A vivacious woman, Mimi runs her own hair extensions company and at the same time, operates the Luxy Hair blog. You will find effective solutions to how to take care of your hair and solve problems like split ends, hair growth etc. If you prefer organic products for your hair, this blog has plenty of suggestions for you. There is even a full video on how Mimi takes care of hair on a regular basis. Wendy Iles is an internationally acclaimed celebrity hairdresser and has worked with artists like Rita Ora, Keira Knightley, and Heidi Klum. Through her blog, she brings to you tips and tricks for hair care and professional advice on how to get rid of your hair problems. 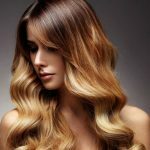 Having extensive experience with hair that is damaged due to excessive use of styling products and heat, her heart-to-heart advice on how to take care of such hair is refreshing and extremely helpful. A team of strong African-American women have come together to create a common platform for women who have type 4 natural hair. With a mission to change the negative perceptions about this hair type, they support healthy hair from the inside out. They cover a wide array of topics such as home remedies, best products, tips and tricks, and uncover myths related to type 4 hair. Women with other hair types, don’t be disappointed. These tips and tricks can be used by you too, if you are facing similar hair problems. Hailing from the land of ‘oil massage’, Minaz is a neuro-physiotherapist turned natural hair therapist. Her tested methods for multiple hair care issues have benefited many around the world. She believes in eating natural foods and feeding your hair natural products. If you follow her holistic approach to daily hair rituals your hair witll thank you for it. 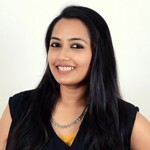 She has covered every possible hair care topic under the sun, and provides simple home remedies that you can use to deal with your hair woes. 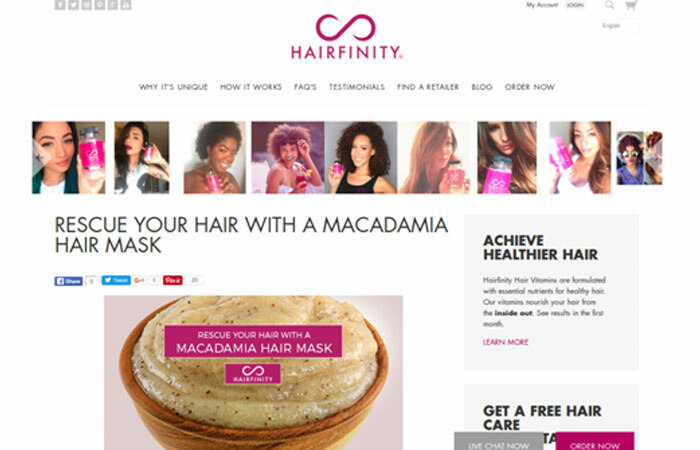 When hair growth formula experts start their own hair care blog, you get Hairfinity! Through their posts, the experts aim to provide you with the best ways to get healthy hair that you want and deserve. This blog is the brainchild of Tymeka Lawrence. After suffering from hair issues herself, she did extensive research on hair care and maintenance. 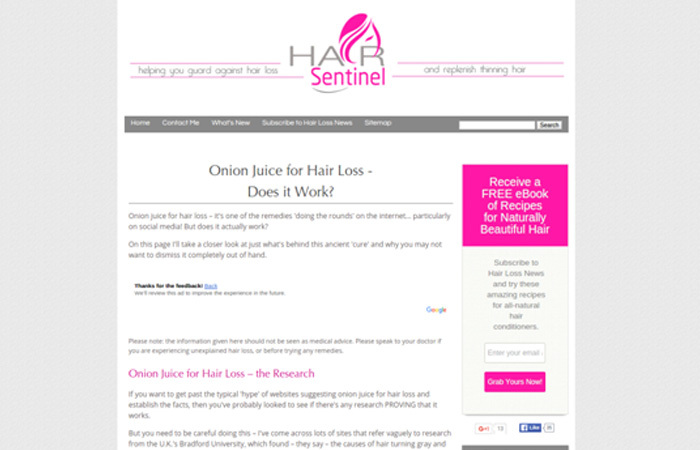 The result is this amazing and inspiring blog that helps you overcome all hair care related roadblocks. Extensive articles listing out detailed remedies and how it can help your hair type make this blog a must-visit. 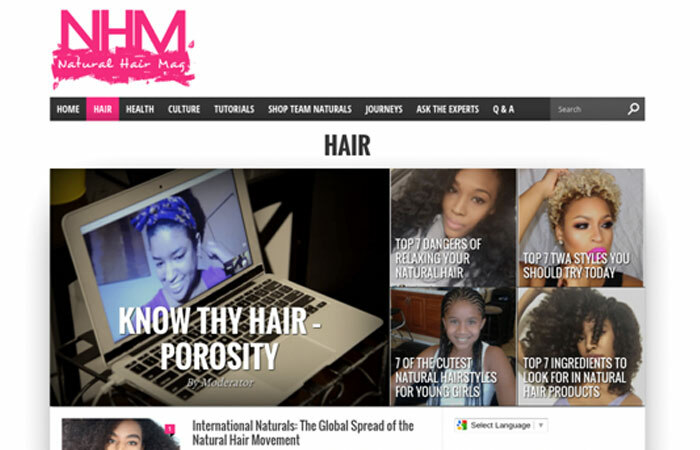 Natural Hair Mag is a biosphere of natural hair care experts who have a solid foundation of hair care education and provide an honest perspective on hair care regimes. Tips, tricks and uses of many products and home remedies are brought to the forefront, with an equal emphasis on how the right styling techniques can also help in healthy natural hair maintenance. Interviews with hair specialists, meet ups with readers and focus on celebrities who support natural hair is their way of creating a healthy culture around this trend. Considered as one of the top 5 natural hair aficionados, Monica “Mo” Stevens is taking the natural hair community by storm with her big, bouncy red hair. Her hair care tutorials give you the feeling of having a conversation with your girlfriend. The information she offers on natural hair care is vast and through her blog, she hopes to encourage every naturalista to take good care of their hair and flaunt it for the world to see. Her honest reviews of hair care tools and products will help you in choosing the perfect aids to achieve your dream hair. After her recent transition to natural hair, Jen, the blogger at Just Grow Already, talks about simple ways in which you can take care of your natural hair. She takes on a wonderul journey to healthy, growing and long hair. Jen supports and guides you every step of the way of your hair care journey, and helps you navigate through the hair care hurdles, and the way to the finish line, in order words, to your maintaining healthy tresses. Her uncluttered infographics are easy to understand and follow. An added bonus are her reviews on products ranging from shampoos and conditioners to tools. The people at Hairtrade take their hair care very seriously! 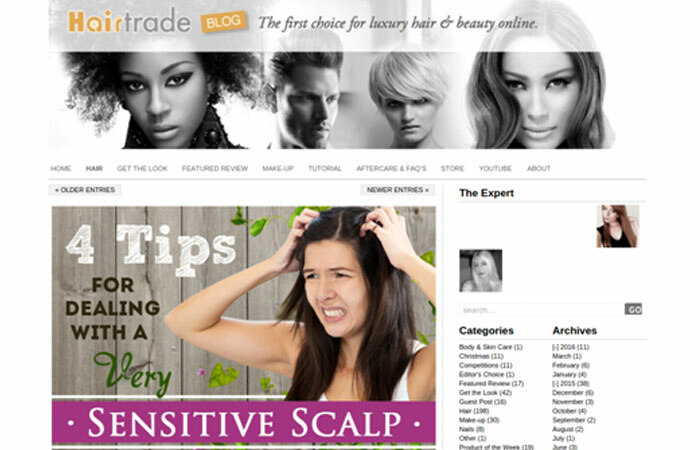 They have an experienced team of writers blogging about different hair types and how to care of them. 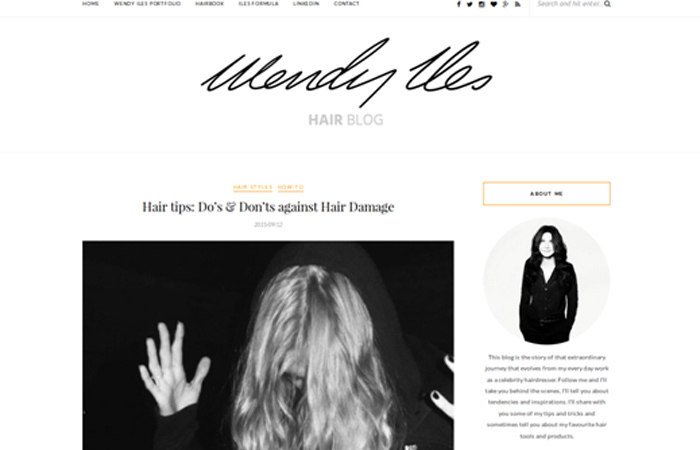 This blog is your go-to place for hair care tips for different seasons. If you are someone who uses hair extensions, then be relieved as there are detailed posts on how to take care and even style the extensions. Hairtrade will keep you up to date with the latest hair trends and product reviews, thus helping you make the right choices. The creative director at How To Hair Girl, Roxie Hunt, has a clear aim – empowering women to take care of their hair and keep it in optimal health and style by providing fool-proof hair care tips, that will not only take less time but will also be pocket-friendly. The contributors of the blog includes professional hairstylists from around the world who help you treat the needs of your hair type. This a holistic blog that features routine hair care tips and DIYs that you can include in your everyday lifestyle. They even have quick recipes with hair-friendly ingredients that you can whip easily in your kitchen. 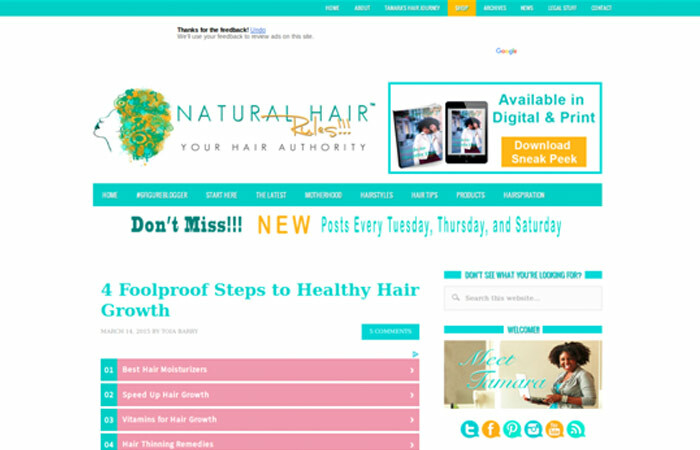 This blog gets more than a million visitors every year, all seeking to have healthy natural hair. 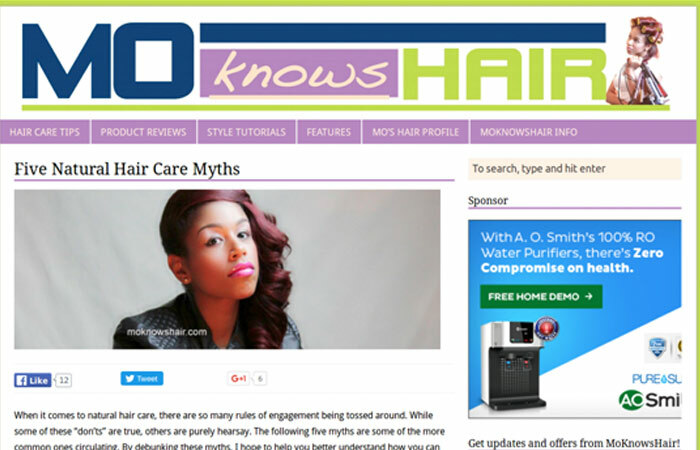 You wll find info on hair care tips and tricks for Afro-textured hair – for all genders and age groups. The benefits of different oils and/or oil-based products are broadly discussed, along with the methods you can use to obtain all these benefits. Be it twists, locks, natural hair, relaxed hair, or the all-out Afro; the secrets behind keeping any African hair type healthy and growing are listed out on the blog. Healthy hair makes you feel confident and special, and you can achieve this by following the brilliant tips that the writers at Viviscal have compiled for you. From genuine hair product reviews to tips backed by scientific research, you are sure to benefit from them. They also have recipes of yummy smoothies and homemade hair masks, that will work effectively in combination with each other and make your hair healthy, bouncy, shiny, and long. The never-ending lists of topics leaves all hair care and maintenance doubts cleared! While all the hair health-related problems are important, for women who unfortunately suffer from alopecia, the road ahead doesn’t look that easy as far as remedies are concerned. 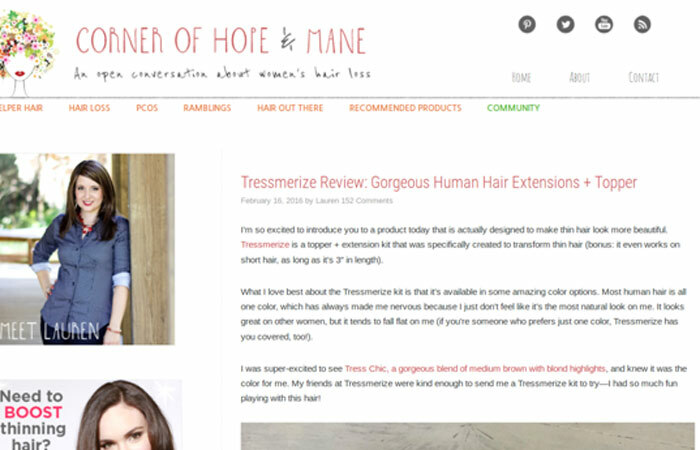 Lauren, at Corner Of Hope & Mane, is here with excellent reviews on the best toppers and wigs in the market. She also talks about various hair care products like shampoos and conditioners, and concealers and powders, that women who suffer from bald spots and alopecia can use. Caring for toppers and wigs is also addressed in detail. So, that was a round up of the top 22 haircare blogs from around the globe. Is there any blog that you religiously follow? Do let us know in comments section below.